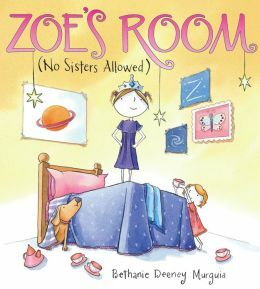 This wonderful read aloud explores family dynamics as the little sister, still in a crib, is moved into Zoe’s room. Now Zoe cannot turn on the light and continue to play after she is sent to bed. At the same time it is listened to, it will be modeling voice inflection, fluency and dialogue. Her play is wildly imaginative as she is the queen of the universe, explores uncharted territory and sets the table for morning royal tea. Until the sister arrives and every little thing wakes her up and sends Mom and Dad running into the room. Finally, it is during a scary thunderstorm when the queen hops into the crib for safety and comfort. It is a good example of a main character solving her own problems, and in this case, it is with the help of an unwitting sibling. Literacy skills such as picture clues, context clues and dialogue can be taught and strengthened for first grade readers, second grade readers and third grade readers just starting to enjoy books independently.